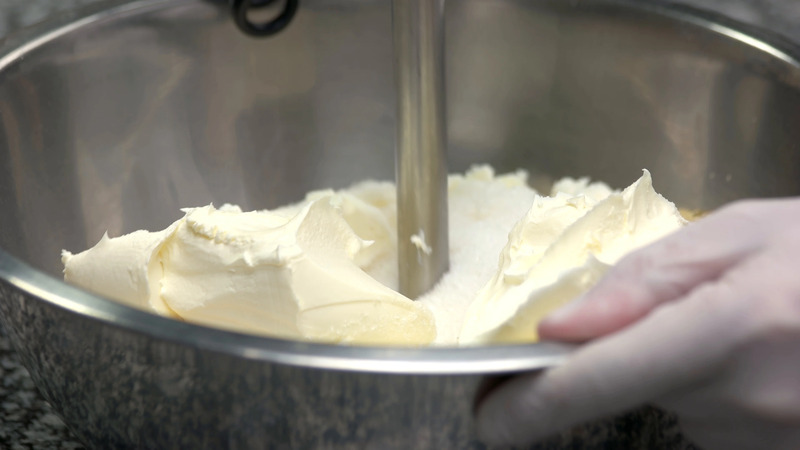 Cream Butter Mixing With Egg Yolks And Sugar. Description: Cream butter mixing with egg yolks and sugar. Close up metal utensil smashing and mixing up pie ingredients in bowl.